Diana Ross’s library of recordings is judged differently from the legacies of Smokey Robinson, Stevie Wonder and Marvin Gaye. Hers is the work of an interpreter, not a composer. She makes songs her own by the power of performance, conviction and intimacy. This talent for interpretation reached new heights in the 1972 film Lady Sings The Blues. Its marketing slogan, “Diana Ross *is* Billie Holiday,” was no lie: the Oscar-nominated performance perfectly captured her ability to live someone else’s life, expressing what they felt, and projecting that to an audience. This fusion is no accident. With Diana, the results can be as expressly personal as any lyric sung by its author. Consider ‘I’m Still Waiting’ from the album Everything Is Everything, released in 1970, the year when she and Motown Records founder Berry Gordy Jr. never married (she bore his daughter in 1971). Or ‘It’s My Turn’ from To Love Again, released in 1980, when she weighed and took a $20 million offer to leave Motown and Gordy’s 20-year embrace. Yet sometimes it’s a miracle that her personality shone through at all. After leaving The Supremes in 1970, she worked with more than 40 producers. Very few had the opportunity to make an entire album with her. That may have suited Diana just fine, as she soared through the great American entertainment trajectory – music, television, movies “ mapped out by Gordy. “To my star,” he declared, simply, on the opening page of a glitzy, 80-page tribute published in US trade magazine Billboard in 1976. Remember, too, that Gordy built his empire so well showcased in Motown: The Musical“ on hit songs, through a “competition breeds champions” ethos which saw in-house producers and writers vying with each other to deliver an artist’s next hit single, not their next album. Another factor underpinned decisions made during the 1970s. New ideas were breezing through pop music: the record company which once knighted itself as “The Sound of Young America” discovered that young America wanted sounds more diverse and challenging than in the ’60s. Gordy seemed to recognise this. Diana’s first solo single was originally set to be ‘Time And Love,’ a Laura Nyro song. The Motown chieftain had reached. Outside his company to Bones Howe, the engineer/producer whose work with the Mamas & the Papas, the Association and the 5th Dimension typified the new wave of pop breaking from the West Coast. The idea was refreshing, although Howe turned out to favour an earlier business model, suggesting that Ross could become “a black Barbra Streisand.” Gordy had other plans, and the Howe tracks were shelved, until ‘Time And Love’ made an appearance on a Ross anthology years later. So the task of shaping post-Supremes Diana was given to Nick Ashford and Valerie Simpson, whose songs for Marvin Gaye and Tammi Terrell had turned that pair into a powerful hit-making force. The Ashford/Simpson waltz that was ‘Reach Out And Touch’ qualified as different by Motown standards, while Nick and Valerie, New Yorkers both, also represented a break from the company’s Detroit traditions. Diana herself had an open mind, and the stamina, to accompany her ambition. Berry Gordy required both when he put his fair lady into Lady Sings The Blues. Like so much in Gordy’s life, the project was a gamble. In the Supremes, Diana was a superstar, but her solo career was slow to ignite. Merely one (‘Ain’t No Mountain High Enough’) of her opening half-dozen singles was a bonafide US crossover smash. During that same period, the Supremes, with Jean Terrell as lead singer, had two Top Ten hits. The latter day competition between Ross and the group is referenced in Motown: The Musical. So is Gordy’s sleight of hand to make sure the house was full at her Las Vegas solo opening: he cut $20 bills in half and had them given out on the city’s streets, with a promise that the other half would be matched if punters came to Diana’s show that night. 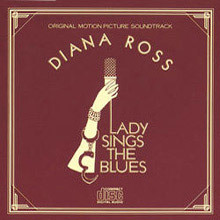 In Hollywood, Miss Ross was viewed as a pop star with unproven acting skills, and Gordy had to buy back Paramount Pictures’ share of Lady Sings The Blues when the budget spun upwards. But his gamble paid off when the film was released, securing critical kudos and boffo box office. Ross earned her Oscar nomination, and the soundtrack was the most successful album of her career, climbing to No. 1 and spending more than 12 months on the Billboard charts. 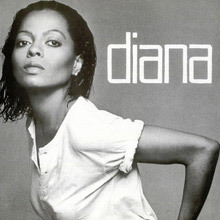 Diana subsequently became the multimedia star of her dreams, a blue-chip asset for Los Angeles-based Motown Industries, spreading her talent through recordings, concerts, film and TV. Her extraordinary way of finding inspiration in the work of songwriters is underscored in Blue, a 1972 jazz collection which was not issued at the time; in Baby It’s Me, the only non-soundtrack set she recorded with a single producer (Richard Perry) between 1972 and 1979; and in the adult pop of ‘Touch Me In The Morning,’ ‘There From Mahogany (Do You Know Where You’re Going To)’ and ‘It’s My Turn,’ all of them daytime soap operas co-written and produced by Michael Masser, to be found collected in All The Great Hits. Another highlight of the 1970s was Diana & Marvin, which brought Ross and Gaye together on disc for ten unimpeachable performances, including the Berry Gordy-produced ‘You’re A Special Part Of Me’ and two tender covers of Thom Bell songs ‘Stop! Look, And Listen’ and ‘You Are Everything,’ which he originally cut with the Stylistics. The albums Last Time I Saw Him and Touch Me In The Morning offer more enlightenment in expanded editions, with bonus tracks and in the latter set, material from a 1970s project, To The Baby, which was shelved at the time. 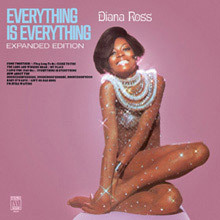 Also ear-opening is 1976’s Diana Ross (dubbed “the black album” by fans because of its colour scheme) in its 2012 expansion. It includes the singer’s interpretations of songs by Elton John, Donny Hathaway and Sly Stone. For those who prefer a tougher, bolder Diana, listen to her work with the late Hal Davis, Motown’s West Coast whiz with an ear for commerce. He remembered her as not wanting to cut ‘Love Hangover,’ a global smash. “She didn’t like disco,” he once recalled, but he had vibed up the studio when the song was recorded with a strobe light and a supply of the singer’s favourite liquor, vodka. “There were only three of us sitting there [in the studio],” he said, “but you would have sworn there was a party going on.” The festivities continued with The Boss, Diana’s dynamic reunion with Nick Ashford and Valerie Simpson, and Diana, partnered with Nile Rodgers and Bernard Edwards of Chic. 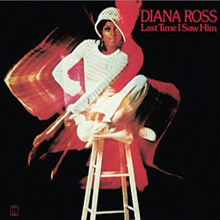 The latter was her first album to approach the summit of the pop charts since Lady Sings The Blues and, said Rodgers, “only she knew this was her last record on Motown.” Diana’s work with the Chic team continues to be pored over, blogged and talked about, not least in Rodgers’ autobiography, Le Freak. 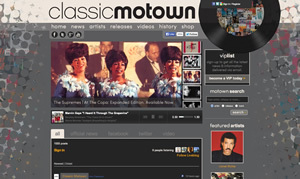 And so she left Motown, fortified by the fact that her last album there was her biggest-selling, non-soundtrack release, pumped by tracks such as ‘Upside Down’ and ‘I’m Coming Out.’ This success helped to secure new recording deals from RCA and Capitol/EMI for different territories, catering to her millions of fans worldwide. 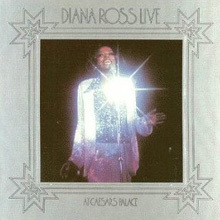 Meanwhile, Diana was approached to record with Lionel Richie his title song for the 1981 movie, Endless Love. Because the Commodores’ star was on the launch pad of his own solo career, the proposal suited Motown, which secured single-release rights and saw the result explode into one of the most popular love songs of the past three decades. Yet if you take the star out of Motown, you can’t take Motown out of the star. 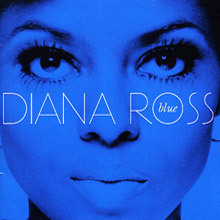 Diana’s recording work during the 1980s included a couple of collaborations with Michael Jackson, as well as her resonant 1984 tribute to Marvin Gaye (‘Missing You’) and a pure ’60s throwback, ‘Chain Reaction,’ written and produced by the Bee Gees. In the UK, where the sun never sets on the classic Motown sound, ‘Chain Reaction’ was a No. 1 record. With her new self-sufficiency, Diana also seized the chance to produce more of her own music, and to record and publish her own songs. She formed a company which, among many TV specials, produced her historic Central Park concert. 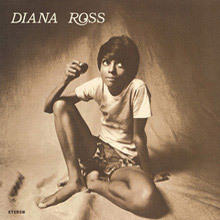 In 1989, a business-savvy Diana returned to Motown, executive-producing albums such as Workin’ Overtime, the edgy reunion with Nile Rodgers; The Force Behind The Power, a confident set of adult songs steered by Peter Asher and James Anthony Carmichael; and vigorous, contemporary sets Take Me Higher and Every Day Is A New Day. Diana and Berry Gordy Jr. were right. There are no heights great enough to keep her from reaching her fans, now and forever. “This woman is like you and me. And I wanted people to see the same emotions that she may go through are emotions that you can actually tap into yourself.” Valisia LeKae as Diana Ross in Motown: The Musical.